International moving can be tough and complicated. There are things you need to do when you are moving locally, but you can crank it up to the next level if you are moving to another country. This is why a lot of people are scared of trying to move internationally. But there are some moving tips that you can use. There are guidelines and checklists that can help you. Organizing your move well and finding a good international moving company will help you ease the stress. This way, you will be prepared and have the resources you need for a successful move. In this article, find out what the most important things to keep in mind are. 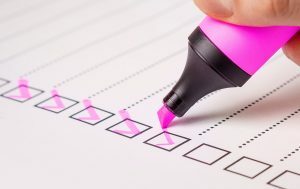 Creating a checklist will help organize your move. You should start preparing at least 90 days before the move. This way, you will have ample time to organize all the paperwork (which can take some time), make your decisions about the things you are taking with you, and deal with all the little problems that may happen. First, you can start by booking your plane tickets and hotels. As the moving day approaches, the costs will only rise, so you should do this as soon as possible. If you have children, visit their schools and talk to the administrators. You will need transfer certificates, but make sure they give you all the information and forms you might need. If you have pets, you should also make sure what the pet regulations for both the flight and your destination are. Maybe they will need some more shots, or maybe you will need special authorizations to bring them over. This is also the great time to find good and reliable international moving companies. There are quite a few air freight forwarders in Japan, so make sure you take the whole process seriously. A good moving company will help you with a lot of stress, while a bad one will only be more trouble and something else to deal with during the whole process. You should also think about making a folder for all the paperwork you will need. Make sure everyone in your family has valid passports. Have a category for each family member and the forms they need, as well as other categories such as “flight documents” or “permits”. This will help you not lose anything important, and you will know which form you are missing when you sort everything out. Finally, think about what items and furniture you are taking with you, and what stays. International freight forwarding can get quite expensive, so think carefully about this if you are hard-pressed for money. Check if it will be cheaper for you to just buy a new sofa, instead of transporting your own. After you have made your decision, call the moving companies and have representatives visit. Once you know what you will be taking with you, it will be easy for them to give you an estimate of the moving costs. Before you get to the final month in your old home, there are a couple of things you need to do. Make sure you have everyone’s medical records. 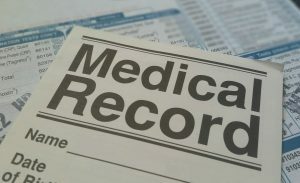 First, get the medical records for every person in your family. Usually, these are valid for around 60 days, so you should have ample time to do it. Also, if something shows up on them, you will have time to get checked again. You can also use this time to get your insurance and see that all visa policies are in order. Remember that paperwork can sometimes take a few weeks, so it’s important to do it early in the international moving process. You should also cancel your newspaper and TV services, and contact your post-office about changing your address. Next, go to your bank. Talk to them about moving abroad. 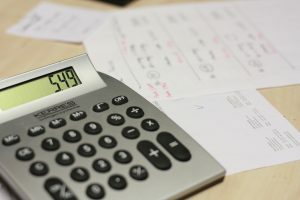 If they do offer international services, check what the pros and cons are. If they do not offer their services to clients in another country, then you will need to close your account. Ask them detailed questions – you want to be well informed about your money when moving abroad. It is a nightmare being cut off from your account in a different country. This is the best time to also start selling the things you will not take with you. You want just enough time for this because the sale process can sometimes be lengthy. Think about what you will do with your house – and put it up on the market if you are selling it. Same goes for your car and any bigger possessions you have. Having a garage sale at this point is also a good idea. Now we are in that final 30-day stretch. By now, you should have a good international moving company which will help you avoid international shipping scams. You also have most of the paperwork done. There are just a couple final touches to do, and some bigger things to take care of as well. First, make sure you pay your bills. You should also consider leaving some money with a friend, in case another bill pops up unexpectedly. You should also contact your service providers (like electricity, gas, water) to let them know about the move. After that, start getting packing material, and finally start packing. First, pack the things you don’t use often. You probably will not need them in the final month of your stay in your home. It’s an obvious thing, but pack last the things that you use daily. You can either do this yourself, have your movers do it, or do a part of the job. Talk to your moving company about this part of the move. When the moving day arrives, you should already have packed everything, and you should be ready to move when the truck arrives. Have your valuables and the paperwork with you. Finally, board the plane (or get in your car) and start your new life.